Crashlands was our pick for the best game of 2016. The game centers around an intergalactic trucker stranded on an alien planet. Your goal is to build him a base, defeat bad guys, and craft items to help him save the day and go home. You can even tame some monsters and use them as pets. It’s a deep game with a large world. There is also tons of stuff to do. 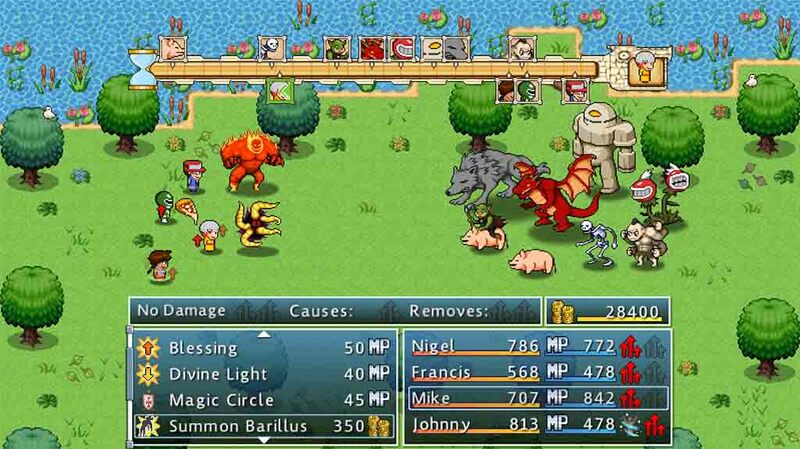 The title also comes with cloud saving, RPG elements, and controller support. It’s definitely among the best non-freemium games. The Escapists is a multi-platform sandbox game. You play as a prisoner and your goal is to escape captivity. There are a variety of methods to do so and you’ll have your choice. During the course of your planning, you’ll have to adhere to prison rules, brawl other inmates, steal stuff, and more. You then use that stuff to craft more complex tools in order to escape. It also has several scenarios to play through. The controls can be a bit difficult to work with. However, other than that, it’s a non-freemium experience. The Evoland series is a unique couple of games. They don’t have a specific genre. 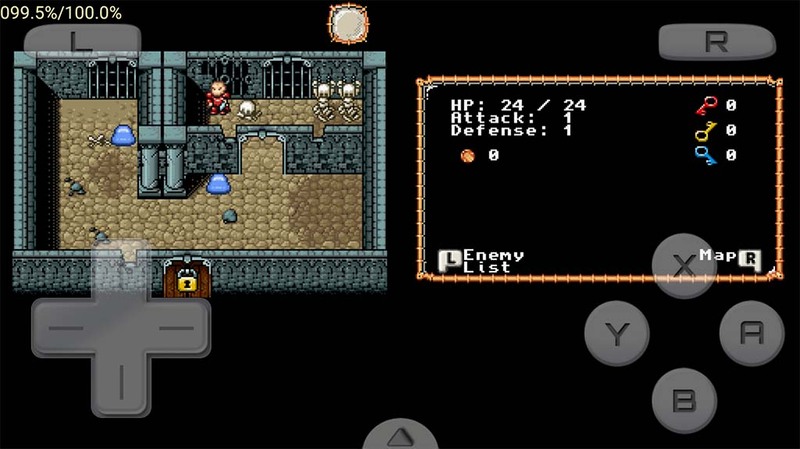 Each game has a variety of game play elements and mechanics, including RPG, trading card game, fighter, adventure, puzzle, and many others. It also has a variety of graphics ranging from modern to retro and back again. They are odes to the video games we grew up on. They also play delightfully sans the occasional rare bug. The first one goes for $0.99 and the second for $7.99. Neither of them have in-app purchases. This same developer also did OK Golf, an above average arcade golf game with a reasonable price tag as well. Hello Neighbor is one of the newer thriller puzzle games out now. Your neighbor is a creepy dude so you decide to break in and look around. Each time you break in, the neighbor adapts to your strategies and puts up more defenses. Thus, you must come up with different tactics to sneak in again. It is a very popular PC game and the mobile game is getting some momentum as well. It’s a little buggy, but we expect fixes as the game ages. If you would rather, the PC version is exactly the same so you can get that version as well. Minecraft: Pocket Edition is the mobile version of one of the most popular games ever. The game is completely open and you can do pretty much whatever you want. There are things that can kill you if you put it in survival mode or you can just do whatever you want without trouble in creative mode. It’s not quite as robust as the console or PC version, but updates have been floating in to make it closer. You can also use this to play on servers that aren’t on mobile (as of E3 2016) which is awesome. Technically, this one does have in-app purchases. However, they are for skins and they don’t affect the game at all. Mini Metro is a fun little puzzle game. Players have to build a transit system for a city. You connect the dots and make the best possible decisions. The game includes 18 real cities to play with, daily challenges, simple controls, and more. You also get three play modes that include an endless mode, a quick play mode, and an extreme mode. It’s a neat little puzzle sim game with a reasonable price tag. The graphics are a little minimal. Some may like it while others may not. It also comes with a colorblind mode and a night mode for late night sessions. Monument Valley is one mobile’s most iconic puzzle games. Its M.C. Escher style puzzles delighted audiences and proved fun. There is a story line and it’s rather light, but most people play for the gorgeous puzzles. Both of these games are rather short, but that’s really the only complain anyone’s ever had about them. You flip level pieces around to create new paths out of seemingly nothing. The first game is $3.99 with some optional DLC. You can get the second game for $4.99 and we imagine some extra content is coming eventually for that one too. Playdius is a developer on Google Play. Their games made quite the splash in 2017 and early 2018. They include A Normal Lost Phone and Another Lost Phone: Laura’s Story. Those two have you digging through a lost phone trying to find its owner. Then you have the text adventure Bury Me, My Love about a refugee trying to make it. All three games are relatively inexpensive and fun to play as time wasters. The developer has a couple of other games as well that aren’t half bad but they are a little more expensive. Pocket City is a newer simulation game. It’s a lot like Sim City. You build a city on a large patch of land. That includes infrastructure like roads, utilities, residences, and other such things. You know the drill. Make a city that generates a profit and keeps your citizens happy. The free version of the game includes most of the game’s features and game play elements. The premium version includes everything with no additional in-app purchases. It’s one of only a few good simulation games with single price tags. 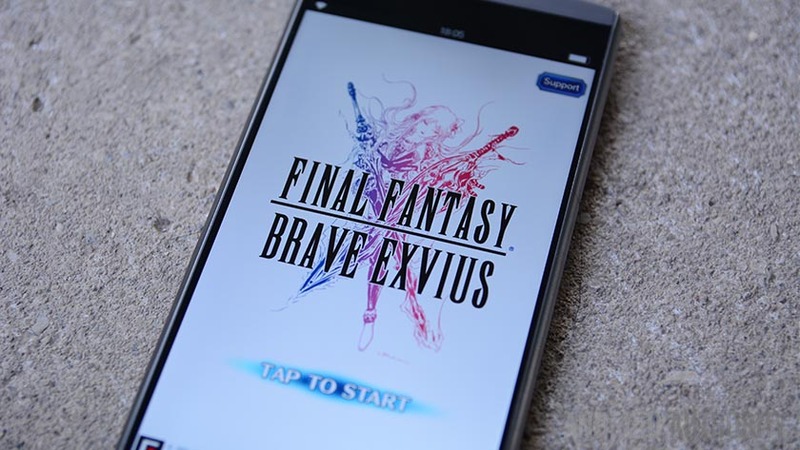 Plus, it’s playable in landscape and portrait mode and we thought that was neat. We’re almost done! Here are even more game lists to check out! Rollercoaster Tycoon Classic is a port of the popular sim game on PC. This version includes both Rollercoaster Tycoon 1 and 2 along with most of its DLC (available as an in-app purchase). Like the originals, your goal is to build a theme park that fits the scenario you’ve been given. There are dozens of scenarios to play through. You can also keep playing after the scenario is over if you want to fully develop your theme park. Included in the DLC is a toolkit to build your own scenarios and theme parks. It’s probably the best non-freemium simulation game on mobile. The Room is a quadrology of puzzle games. They may also be the best non-freemium puzzle games out there. They’re technically escape games. The idea is to find the clues that help you leave the room you’re in. It also comes with some of the best mobile game graphics that we’ve seen. The third version also comes with multiple endings which helps increase the longevity of the game. Old Sins, the fourth title, takes place in a haunted doll house and that was fun. Most of them also come with cloud saving, achievements, and a hint system in case you need help. 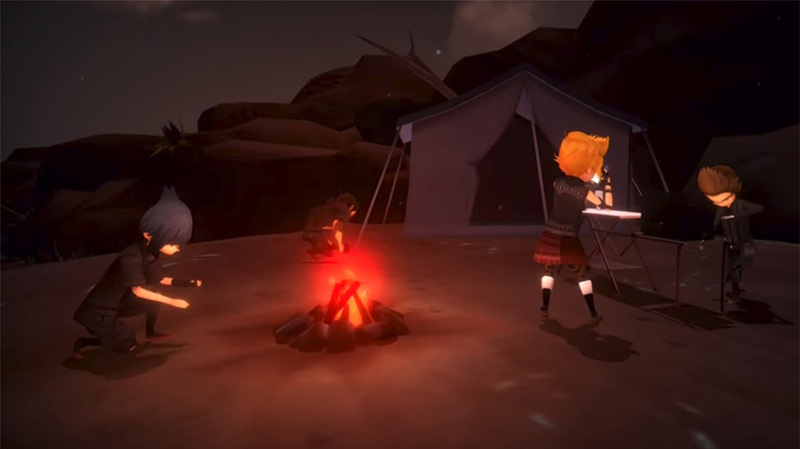 Slayaway Camp is a horror thriller an an ode to the slasher movies of old. You play as a psycho named Skullface. Your job is to slaughter tons of people without getting caught. It features a bunch of levels, tons of violence, and excellent game play mechanics. The retro style graphics take some of the impact away from all the gore. That makes it a little easier to handle than, say, an actual horror movie. Plus, it’s fairly inexpensive. People seem to really like this one and we liked it too. Previous articleCan you explain the software testing life cycle?